At the end of September, here and here, I wrote about the complications and struggles involved in keeping more than one blog going. I said I was considering sticking to one blog, only, from now on. Since then, the activity on my blog has increased quite significantly and my followers have gone 20, on September 21st to 162, as of today. I have also gained some followers on my other blogs, even though there has been very little movement on them in the last month. So I am wondering what you think. Do you think that a sort of general purpose blog is best, utilising categories and tags to separate different types of entries? Or do you think it is better to have one blog for each type of subject, such as poetry, prose, photography, job hunting, etc? How do you work? Do you have several blogs, or do you stick to just one? Also, what is your experience of going from a WordPress hosted blog to self-hosted? Is it easy? Do you gain or lose followers by changing? Is there any value in it? So here is my challenge: Write a post, in any format you choose, telling about your experience of blogging. Please include a link to this post so that I, and others, can find your advice easily, and tag your post with Challenge 51. I will read and respond to every one. 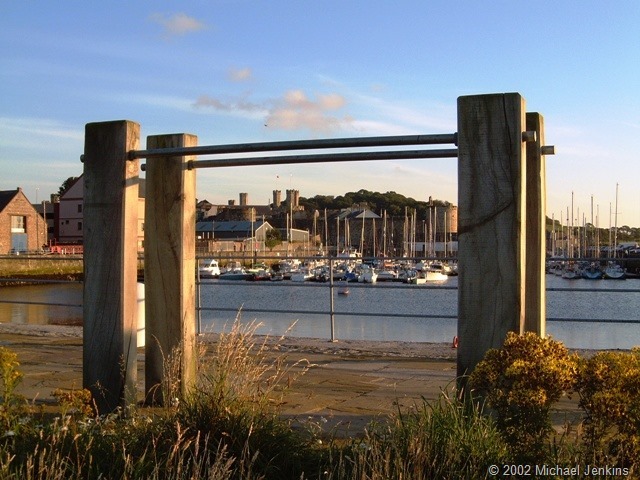 This is a photograph of Caernarfon Harbour with the castle, beyond. 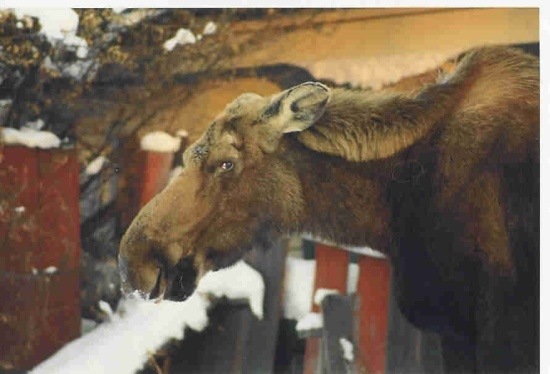 I took the photo in 2002, when digital photography was in its relative infancy. Still, I think it captured the colours beautifully. I like to experiment with framing subjects and I felt that the view of the castle across the harbour was a little bland until I found this structure, whatever it is. I don’t think it has any nautical significance. I believe that it is purely some form of sculpture, but I am open to correction on this. On the verge of falling down. 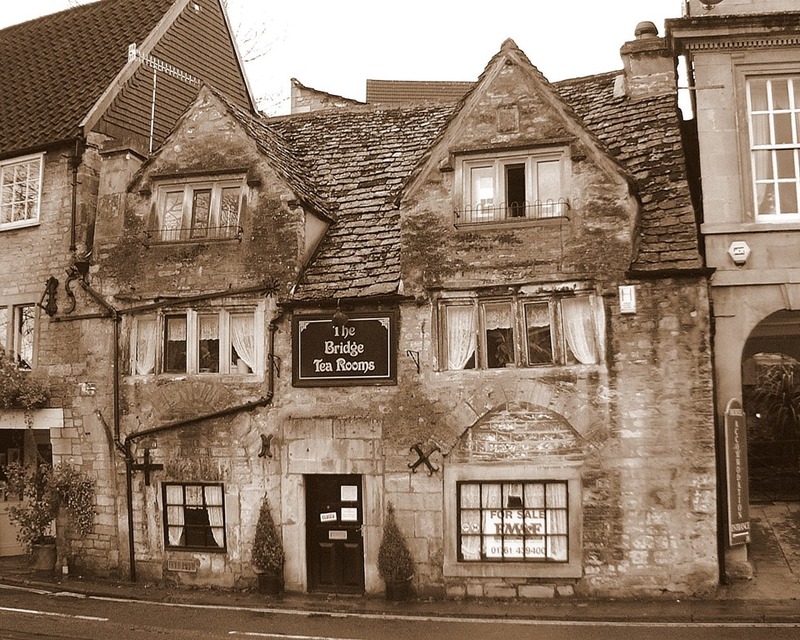 When we visited Bradford on Avon in 2002, this old tea room was obviously closed, not just for lunch, but until a new owner could be found. I have not been back, since, so I have no idea whether it has been re-opened. I felt that the rather bedraggled look added to the olde worlde charm. I also felt that the TV aerial was a little incongruous, in the circumstances. The idea of being closed for lunch is a fairly important one. Although most people have a work contract that specifies a lunch break, many are expected to forego their break or to eat their lunch at their desk whilst working, or to have a working lunch meeting. 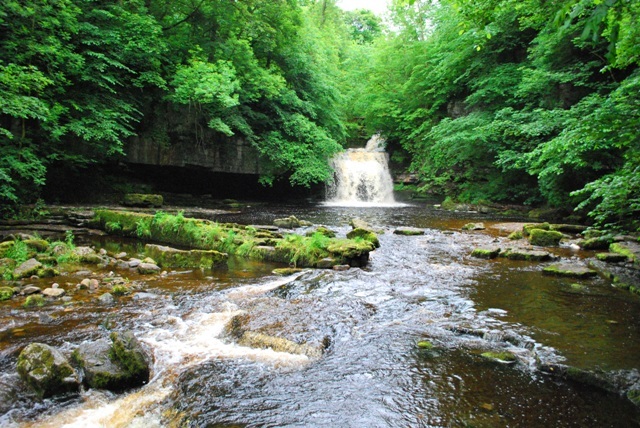 The cliff face is about 260 feet high. 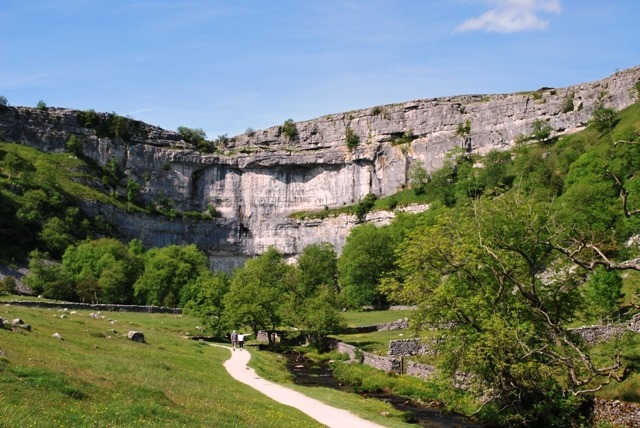 The top is formed of a large limestone pavement. Walking towards the cliff you get a sense of how small we are compared with the wonders of nature. Blue sky swamped by stormy clouds. How quickly things change. It may be the weather, or it may be our circumstances. But we must be prepared for such change. 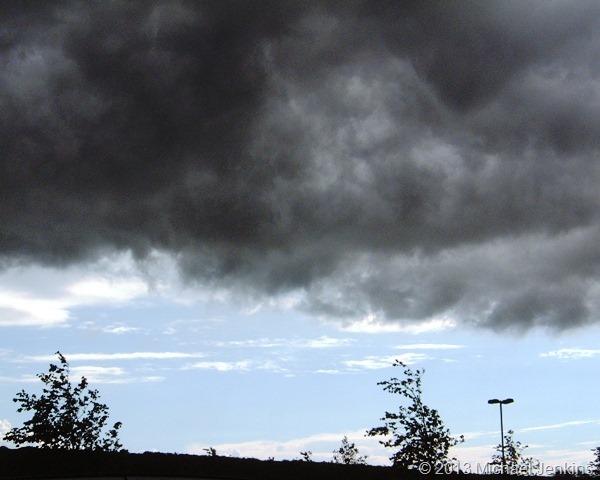 When it comes to the weather, we are often ready. We view the day’s weather forecast to get an idea of what clothing to take. Or we sense changes in the weather because of our experience. We feel the sudden chill in the air, and know a storm is coming. It may be that we see signs in the demeanour of those who can affect us; our partners, our children, our parents, our bosses, our friends. It may be changes in our own demeanour. It may be a news item. It may even be changes in the weather. If we are mindful of all these things, then we will seldom be caught off-guard. Yes, there will be times when the unexpected occurs. But, if we are mindful, we will be able to cope with these unexpected events with dignity and calm. Changes happen. It is up to us to learn to deal with them. What’s Stopping You? Fear of Failure? Or Fear of Success? 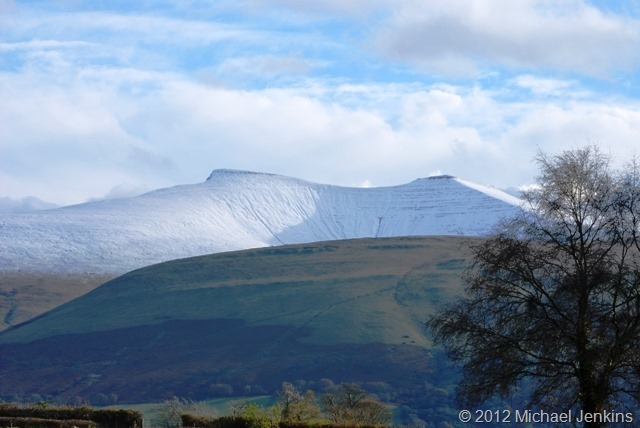 This is a photo of Pen y Fan and Corn Du in the Brecon Beacons. Admittedly it is too early for snow. I hope! This was last November. Actually, it was 3rd November, last year, which means it’s only eleven days away. So it’s not too early for snow, really. Followers of this blog will be aware that last year I reached my goal of walking up there. And I did it, not once, but twice. The second time was with my wife. We arrived at the summit as the other walkers were leaving, which meant that we had about ten minutes on our own in the stillness of the mountain, admiring the view and admiring our achievement. It was quite an emotional moment, sharing that success together. Our goal for this year was to reach the summit, again. We are not getting younger. Suffice it to say that we have grandchildren, so such a hike is an achievement at our age. At 886 metres, it’s not that high a peak by many standards, but having suffered from a serious illness, it has become a symbol of my recovery. As regular readers will know, I failed to reach the summit, this year, because my wife was taken ill part-way up. That does not mean we have given up. I will get there, again. Mountains are like any other part of life. You just keep putting one foot in front of the other until you cannot do it any more. We spend so much time fretting about what may happen. Yet we should spend our time dealing with what is happening. 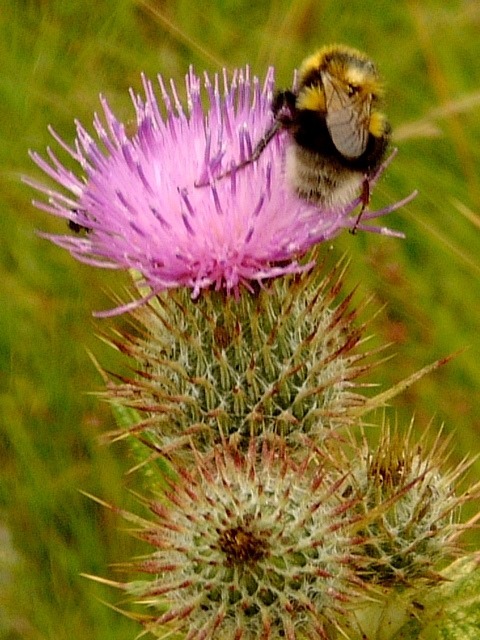 Real mindfulness will make us aware of the whole picture, allowing us to deal with our trials. But real mindfulness will also help us to know that the worries of tomorrow have not happened, yet; and maybe they never will. Therefore, why worry about them. Now, that’s not to say that if we have an engagement of some sort, tomorrow, we do not prepare for it. However, worrying about it, to the exclusion of today’s issues, is unnecessary. In fact, it could be said that if we are worrying about tomorrow’s issues, rather than today’s, we are procrastinating. We are putting today’s concerns off in favour of the far more “pleasant” activity of worrying about tomorrow. After all, some people are not happy unless they have some crisis about which to worry. Yet, as the saying goes, tomorrow never comes. So concentrate on the present moment. Look at what you have to deal with, now. Maybe that is planning what will happen tomorrow. But make sure that you have dealt with current issues, first. 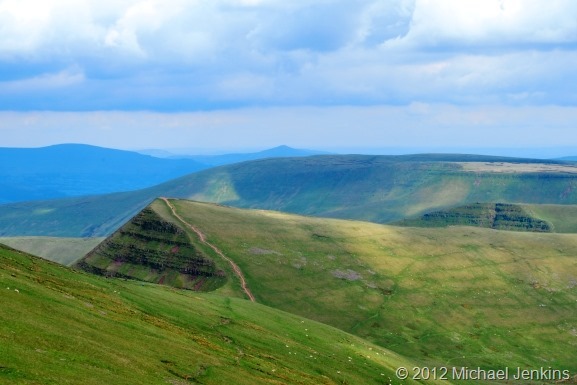 As for the picture, it is a photograph of Cribyn from the shoulder of Pen y Fan in the Brecon Beacons. It’s not a hard walk, but you know you have been exercising when you get up there. I took the photograph in 2012. The point of the picture is that the goal may be to reach the summit, as it was for my wife and me, earlier this year. We are proud to have reached the top of Pen y Fan in 2012. However, part way up, this year, my wife felt unwell enough to complete the walk. She said, rightly, that she should go back to the car at the foot of the mountain, and I agreed. She suggested that I go on and reach the summit. However, there were only two of us in the party. As much as I wanted to reach the top of Cribyn, the safety of my team came first. She would have done the same for me. It was a case of being in the present moment. As a result of that aborted attempt, I have failed in my goal to reach the summit of Pen y Fan, again, this year. But I am happy in the knowledge that my wife was, and is, safe beside me. That is what mindfulness is all about.